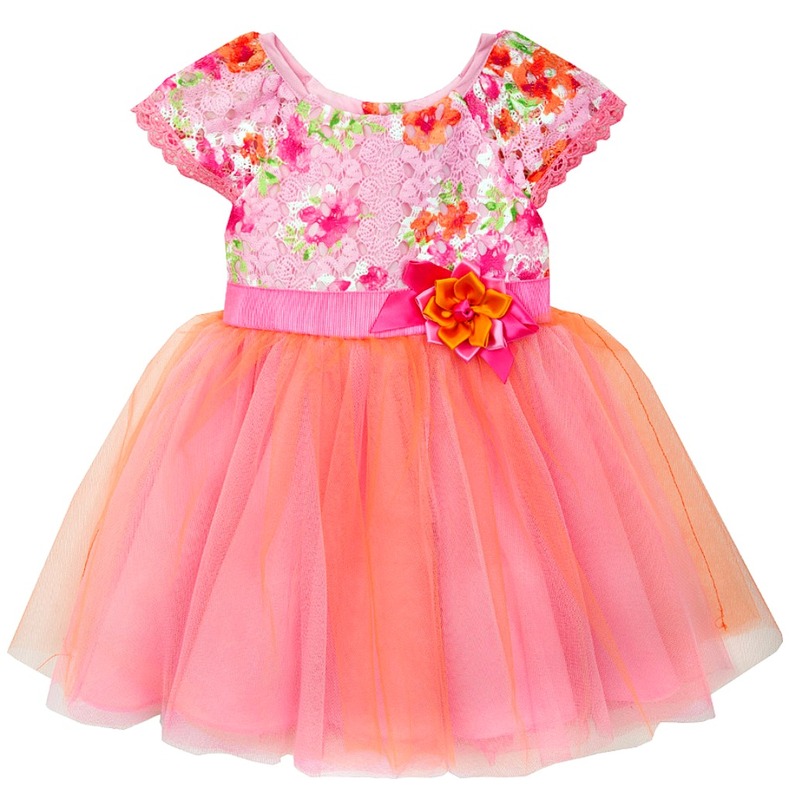 Beautiful fuchsia and orange lace bodice dress features stunning tulle hem and capped sleeves. Lined. So elegant!